Open from 4pm Tue-Fri; from 1pm Sat; from 2pm Sun. Closed Mon. 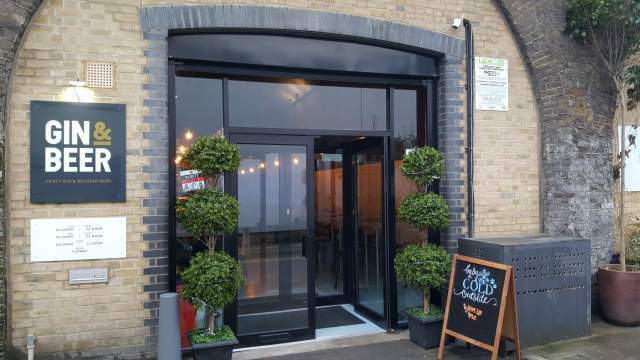 Out of nowhere, Deptford suddenly has one of the best and most compact crawls in London, and this is the best of its stops: a bar in a railway arch which quietly opened with a stunning offer of around 75 Belgian beers on a list of exceptional quality. It wouldn’t be out of place in Bruges, Antwerp or Ghent – it really is that good. The draft range includes the likes of Westmalle Dubbel and Duvel ‘single’ (groen), but the real surprises are on the bottled list, which includes beer from stellar breweries such as De la Senne, Het Anker, De Dolle Brouwers, Glazen Toren, Dupont, Dochter van de Korenaar, plus pretty substantial strength in lambics and Trappists. Food is cheese boards. The staff and ambience are great, and if you like gin you’ll be impressed by the quality range of gins on offer too. Immediately a Guide top pick. On same row of arches as Villages Brewery Tap and just round the corner from Hop Burns & Black and Taproom SE8.